Do you live in my area and are you interested in eating fresh and healthy eggs? Today you can do it by adopting a hen from our farm! Get weekly at your house, at work 6 fresh eggs. 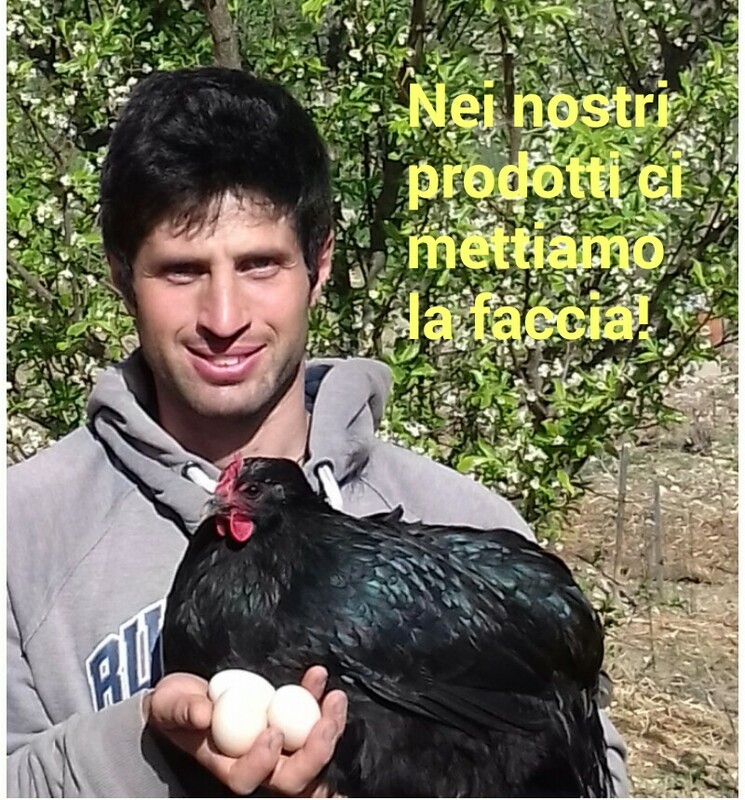 Also you can control your hen, her life and production directly on the facebook group THE GREAT POLLAIO in which you are inserted, or visit it in person on the farm. Why choose to adopt a chicken? Because they do not come, they are fed without antibiotics, with cereals from the farm or from neighboring companies (therefore without GMOs), they have a happy life, and the eggs taste great and are richer in natural vitamins. Breeding hens of rustic breed in our organic orchard, their diet is of cereals produced by our farm or by neighboring companies, so as to have quality and reduce the CO2 emissions due to transport. The cereals are given whole to better preserve the natural function of the stomach of the hen. Being outdoors, their diet is enriched with grass and insects that are found in the orchard, for this use rustic breeds that walk a lot. Having a natural life egg production varies with the duration of the day and the temperature. Working naturally there will be periods that eggs will not be produced. The eggs collected daily are stored and delivered once a week in returnable boxes. In order to guarantee a higher quality to the final consumer, salmonella controls are made voluntarily. If you join the ADOTTA UNA GALLINA project, you will receive 6 eggs per week at the same time (consistent with the production of the hen). inserted in the facebook group where we will insert various information so you can check the chicken house and the life of the hens, you can also come and see for yourself the health of your animal directly on the farm. By adopting a hen you commit to the monthly deliveries (max 4) that will be paid on delivery, any cancellation must be made at the third delivery of the month by e-mail or by phone.